Dimensions 0.50 by 8 by 9.50 in. War; Early works to 1800. Military art and science; Early works to 1800. Amazon.com description: Product Description: 2011 Reprint of 1940 Edition. Full facsimile of the original edition, not reproduced with Optical Recognition Software. Edited and Translated by Lionel Giles. The Art of War is attributed to Sun Tzu. It presents a philosophy of war for managing conflicts and winning battles. Some modern scholars believe that, contrary to popular belief, it contains not only the writings of the original author, but also commentary and clarifications from later military philosophers, such as Li Quan and Du Mu. It is accepted as a masterpiece on strategy and frequently cited and referred to by generals and theorists since it was first published, translated, and distributed internationally. There are numerous theories concerning when the text was completed, and concerning the identity of the author or authors, but archeological recoveries have proven that the Art of War had roughly achieved its current form by at least the early Han dynasty. Sun Tzu was an ancient Chinese military general, strategist and philosopher who is traditionally believed, and who is most likely, to have authored the Art of War, an influential ancient Chinese book on military strategy. Sun Tzu has had a significant impact on Chinese and Asian history and culture, both as an author of the Art of War and through legend. During the 19th and 20th centuries, Sun Tzu's Art of War grew in popularity and saw practical use in Western society, and his work has continued to influence both Asian and Western culture and politics. from Gardners Books (January 1, 2011); titled "Art of War"
About: Written over 2500 years ago, The art of war is the world's oldest known military treatise. About: Dated to about the fifth century B. 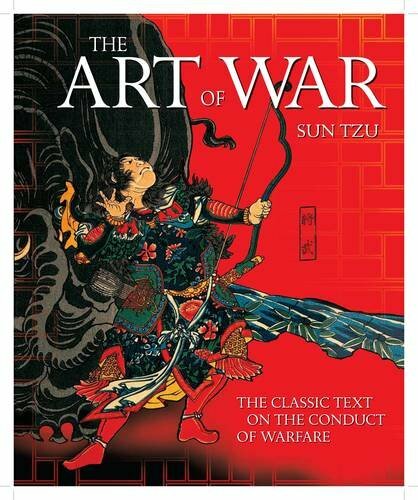 With Sun-tzu | from Createspace Independent Pub (March 24, 2013); titled "Art of War"
About: The Art of War enjoys enduring popularity among readers. About: 2011 Reprint of 1940 Edition.